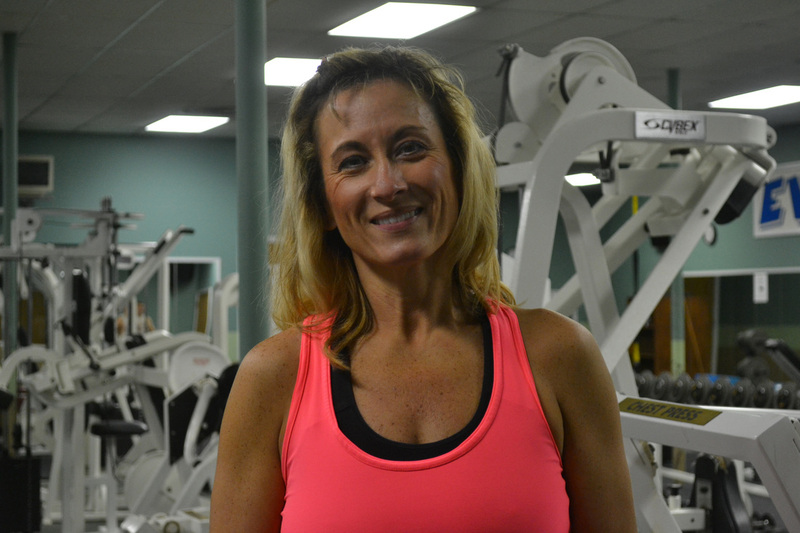 Breanne Walsh has been working in the fitness industry for 20 years. She purchased EverBody's in 2010. A Tell City native, she returned home after managing fitness and related facilities Cincinnati, OH, Indianapolis, IN, Atlanta, GA, and Ocho Rios, Jamaica. Her experience has served corporate wellness, hospital-based wellness, private health clubs, and the non-profit sector. She has traveled the country, teaching education and certification programs for personal trainers and group exercise instructors. She is married to Blair Walsh (Walsh Plumbing) who helps her chase her dreams as if they were his own! Their daughter , Kendall, serves as the EverBody's model. You may have seen her face a time or two! Her passion for health, community, and helping others made this the perfect fit! "I've worked in many fitness facilities, but THIS is different. THIS is home. THIS is family! We truly have a DREAM TEAM!" ​My name is Laura Schilling and I am new to the teaching world of fitness. I am an avid runner and enjoy trying out new exercises and programs, including Tabata, Pilates, strength training, and now the new class I will be instructing, Barre Above. I am a certified Barre Instructor and excited to bring this new program to Everybody’s! Barre Above is a totally unique approach that fuses pilates, yoga, aerobics, and elements of strengthening exercises dancers do. Barre Above delivers a results-driven workout that is not only fun and dynamic, but it will sculpt your body and get you absolutely amazing shape. I am far from a dancer, which is great because you don’t need any dance experience! I am a very busy mom, wife and full-time career women but push myself to find time in my schedule for fitness. I truly believe my calm mentality and patience is directly related to my morning workouts. I am blessed with my wonderful husband, Zach Schilling and 2 amazing daughters, Kinslee & Harper. Life in Perry County continues to inspire me to get out there and try new things while having a supportive group not behind you, but with you. Chris came to Everbodys via the Biggest Loser program. He transitioned from successful weight loss to coaching Biggest Loser teams. He has always been a runner and enjoys a good race. He found spinning to be a great way to cross train for running and is now a certified spinning insturctor. Chris lives in Tell City with his wife Mary. Other interests are the outdoors, gardening, and golf. 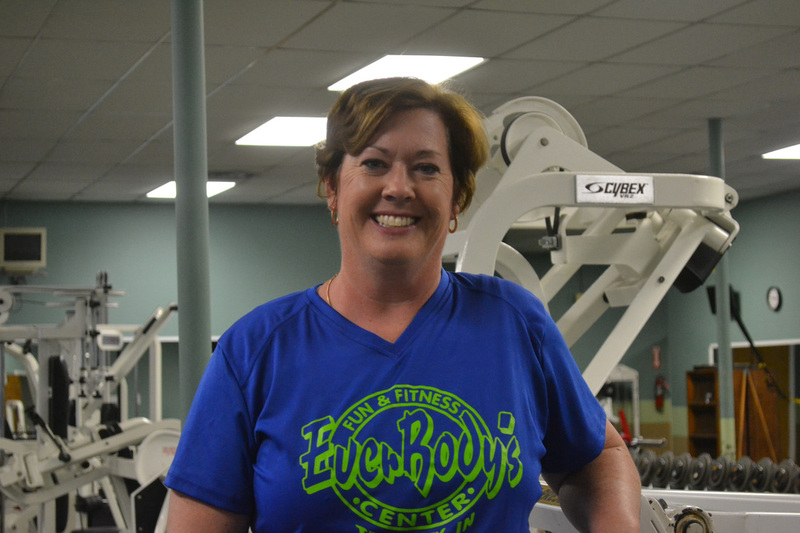 My name is Darla Goffinet, and I've been a group fitness instructor at Everbody's for more years than I can count. From Breanne and Blair to the instructors and office personnel to the members, we are truly a family. I lead the 4:45 a.m. Wake-Up Workout classes on Tuesdays and Fridays and fill in for Kathy at 4:45 a.m. for spinning on Wednesdays. I love the morning crowd. These people work so hard and are always on a mission. They recognize the importance of working out early so that nothing comes up later in the day to distract them from getting in their workout. The people at the gym in the mornings are my friends, not just people I say "hi" to in passing. They keep me going and make me smile. We'd love to have you join us! Gary began his journey into fitness about six years ago. He began running, despite having an artificial knee. He has run races of many distances, including two marathons. Running eventually led to joining Everbody's in the first Biggest Loser competition, and it was there he discovered Spinning. In 2013, he was employed by Everbody’s as a certified Spinning Instructor. As an instructor, he teaches classes several times during the week. Gary works at Southern Hills Counseling Center. He and his wife Joyce, who is also a certified Tabata Instructor, reside with their family (including Addison) in rural Tell City. Felicia is a Graduate of Indiana State University where she got her B.S Degree in Exercise Science with a minor in Massage Therapy. She has worked in the fitness industry since graduating in 2014 obtaining certifications in both corrective and performance exercise from NASM, she can and has worked with many individuals in all walks of life. 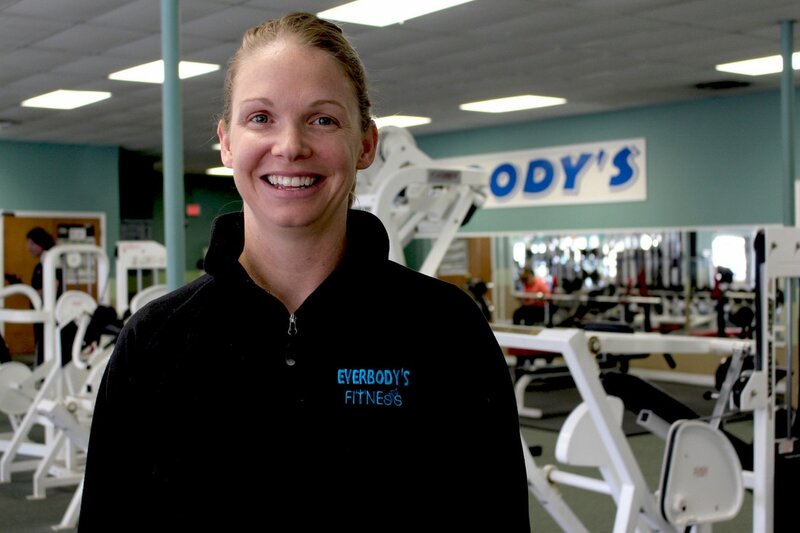 ​She enjoys lifting, hiking, and spending time with her husband and two kids. I joined the EverBody's Team almost 6 years ago and I could not be happier that I did so! I began teaching Zumba because I love to dance and I love working with people! I am certified in Zumba Fitness Basic 1 and Zumba toning. Through Zumba I have become a runner and I am stronger than I have ever been in my life! This past year I have received my Pound Fitness Instructor Certification. I absolutely love teaching Pound. When I am not at the gym, I am the Youth Service Center Coordinator for Hancock County Schools and I am blessed by both of my jobs daily! I live in Hawesville with my husband Jeff and my two beautiful daughters, Rylann and Anna Bella. Kristy started with Everbody's cleaning the facility a couple days a week. With her hard work ethic she soon started working in other areas of the club. She has become an integral part of our Team. You can see her running kidz club, the front desk or numerous other areas of the gym. Marian is a certified Zumba Instructor specializing in Kids' Zumba, Aqua Zumba and Zumba Gold. Thanks to Zumba she has done so many things that she never thought were possible. Marian has become a runner and biker, completing many 5K’s and a Half Marathon. Zumba has given her more strength and stamina. She would like to encourage everyone of all ages to join a Zumba class. It is the most fun you will have working out! Marian teaches Kids Zumba and Aqua Classes each week. I joined the EverBody's staff in September 2014 after 39+ years with the U.S. Forest Service. I originally joined EverBody's in 2012 to make a lifestyle change which the Biggest Loser program was an instrumental part of. I am a Biggest Loser coach, spinning instructor, and certified personal trainer. When I'm not at the front desk I can be found leading spinning classes or filling in as a tabata and other group workout instructor. If you're needing that individual instruction I am here to help you. After a 15 year hiatus from running, I have again taken it up and have run numerous 5K and 10K races, plus one half marathon. I am also a co-leader in the gym's C25K running program. You will find EverBody's to be one big family that is willing to help whether it's getting started on a workout program or doing a lifestyle change. In 2010 I became a Certified Group Fitness Instructor through AFAA and love passing fitness on to others in Body Sculpting and Pilates, two classes I teach. I starting coming to the gym in high school on and off, but in 2008 I became regular face here. I started taking classes, began running, and using the weight machines. I can still be found on a treadmill or at a weight machine when not in class. The atmosphere here is amazing, you are family, members and staff care about your journey and want to help or encourage you to keep going. My name's Amanda Evans. I am a preschool teacher, with a bachelors degree in Early Childhood Education working toward my Masters. I joined the gym and signed up for the Biggest Loser Program in January 2013 after making a decision to start a healthy lifestyle. In 2015, I was asked to coach a team in our Biggest Loser program. I couldn't imagine my life without my gym or gym family. I am currently one of the Kidz Klub staff members who make sure your kids needs are met while you enjoy your time at the gym. Today, my husband,Mike, and 2 beautiful girls, Brianna and Brooke, are very active in the gym and making fitness a family thing. I came to Everbody's 6 years ago to make a lifestyle change. I knew I needed to lose weight & become healthier but what I didn't know is that I would love the transformation & environment of being with like minded people. I decided I wanted to get involved in the fitness industry by becoming a fitness instructor. I hold an SCW group fitness certification, Zumba license & a Box Mania certification. When I'm not at the gym I'm an expanded duties dental assistant for Hancock Dental Arts in Hawesville, KY. In my spare time you can usually find me at the gym lifting weights or playing wally ball. Everbody's has become my family & a home away from home. Bob joined the family early in our adventure! He has made fitness a part of his life for many years. You'll love getting to know him and always feel welcome as he greets you from our Member Services desk! Brandi started her fitness journey about 3 years ago after the birth of her daughter. 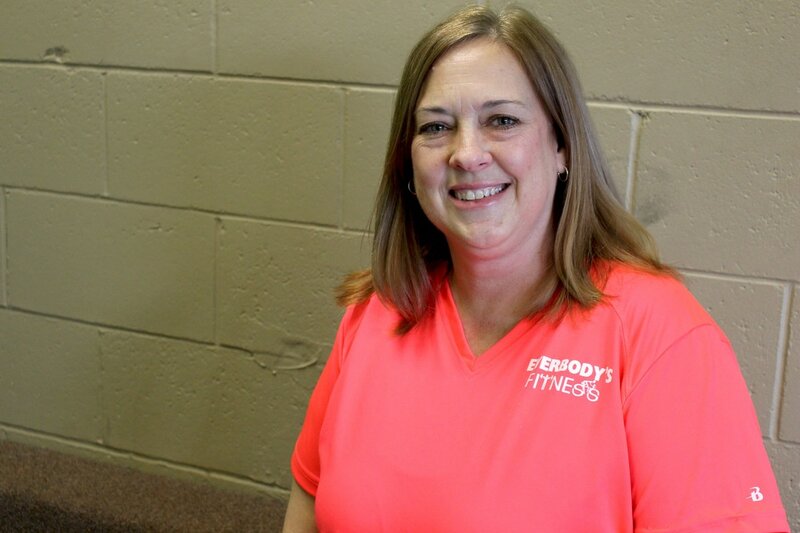 She joined the gym to take classes and help lose weight after having children. Not only did she lose weight, she also became passionate about fitness. Since then, she has become certified in both Tabata and Piyo. Brandi is a Tell City native and lives in town with her husband Erik and two children, Jackson and Alivia. Brandi has a Master's in Physical Therapy from the University of Evansville and is the clinic manager of Advanced Rehab, Inc here in Tell City. 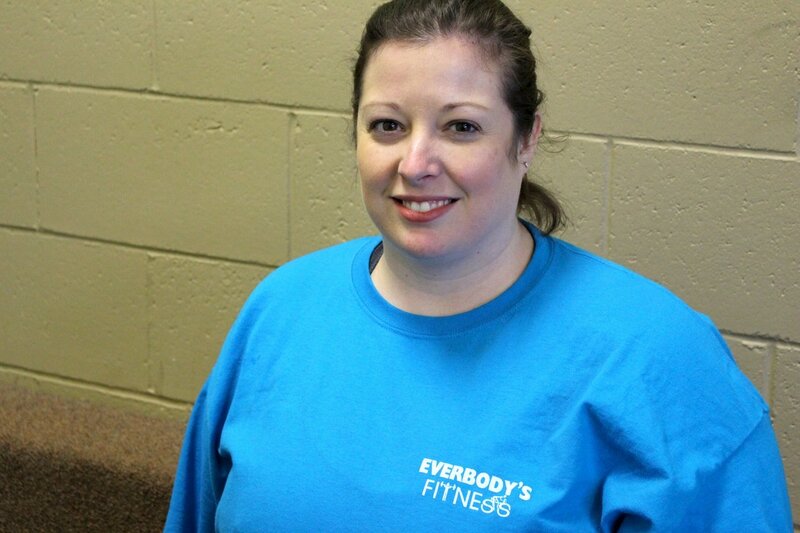 Becky was first introduced to Everbodys via Zumba at an Adult Fitness Offering at a local school and was hooked. She fell in love with the dance and exercise that Zumba provided and became a certified Zumba Instructor in 2012. Since her retirement from teaching, she enjoys attending Everbodys' variety of morning and evening classes. Her fellow "Morning Maniacs" never fail to inspire her. Becky lives in Leopold with her husband, Paul. They have three children and three wonderful grand-daughters. She enjoys reading, being outdoors, traveling with her husband, and spending time with her family. I joined Everbody gym about 7 years ago because of my love for Zumba. There was not a Zumba Class around that I did not attend. Zumba has given me confident to try new things. In February, 2016 I received my license to teach Zumba and have been teaching Zumba at the gym. When I am not teaching Zumba or taking other classes at the gym. I am busy working at my home daycare. My husband Steve and I have 3 children and 6 grandchildren!!. I would love to have you join my Zumba class, We have a great time. It is the most fun you will have working out!!!! Almost two years ago I was asked to start coming to Zumba class to see if I wanted to become an instructor. When I started coming to class in July, I was already 2 months pregnant but knew I wanted a way to stay in shape while pregnant so I figured this would be a great way to do so! I received my Zumba Instructor Certification in October of 2015 and have been teaching since then. I love to have fun while dancing the calories away! I currently live in TellCity with my husband Daniel and daughter Gabby. I also have a step son that is with us through the summer -Landon. I plan to run my first (and maybe last!) half marathon this fall before I turn 30! Hello! My name is Brandy Hopkins. My family and I moved to TC four years ago from Mitchell, IN. We had hit a few rough patches in this thing called life and I, like many, put myself on the back burner. I had gained quite a bit of weight and felt horrible. I learned of the BL program through a friend from church and decided I would give it a try. Several BL seasons later and after losing 60lbs, I reached my goal weight. Although I hit my goal with weight loss, I gained so much more in friendships and confidence. 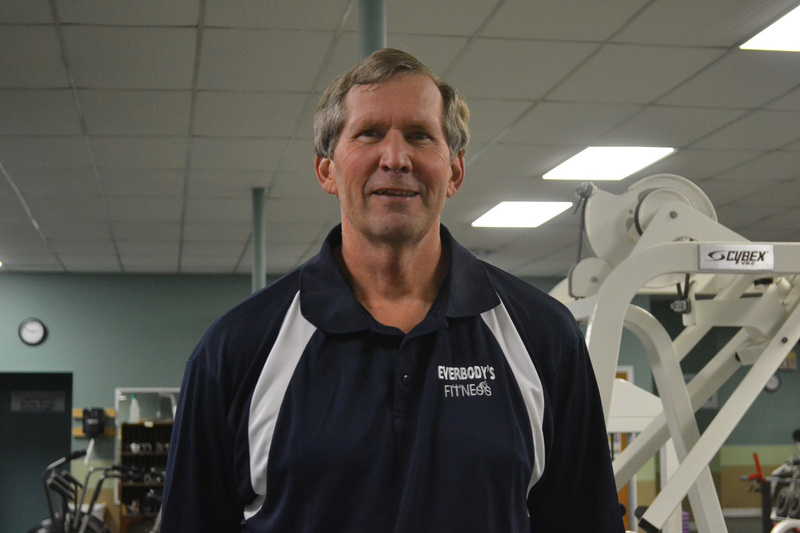 The staff and members here at Everbodys are very welcoming, understanding, and kind. After reaching my goal, I found the exercise that I enjoyed most was running. I trained and built myself up to running a 5k, 10k, and then eventually a half-marathon. It was great to have several from the Everbodys family there cheering me on to the finish line. Everbodys offers so many opportunities and comes along side you to encourage you on your journey. Besides running, I also enjoy reading, writing, speaking, and being with my family. I also work with teen girls through a ministry I co-founded. ​ I am married, have four adult children, a daughter-in-law, and two grandchildren who have stolen my heart. I am humbled and excited to come on board with the Everbodys team. I am eager to learn and grow on my new journey here. If there is ever anything I can help you with, please don’t hesitate to ask. I look forward to meeting and seeing you at Everbodys! Brittany started running in 2002 when she was eight years old. She was in the second grade and remembers begging her parents to join the “fun run” club at her elementary school. Upon their approval, Brittany eagerly took up the opportunity. She figured out how to convert feet to miles and used her Dad’s measuring tape to create a one-mile course in her yard to practice running for fun. Although her love of running was evident to her family, it wasn’t until junior high when her running career began. From then on, she ran cross country and track in junior high, high school, and throughout all four years of college. She came away with a high-school title as as district champion in the 800 and placed in two state meets. She broke many track records at Wright State University and was a key runner in building their running program. After graduating college in 2016, Brittany is still pursuing her love of running and chasing new PRs. Brittany holds a BA in Psychology and currently works at Tell City Jr.-Sr. High School. She is an instructional assistant and volunteers as a distance coach for Tell City’s junior high track and field team.